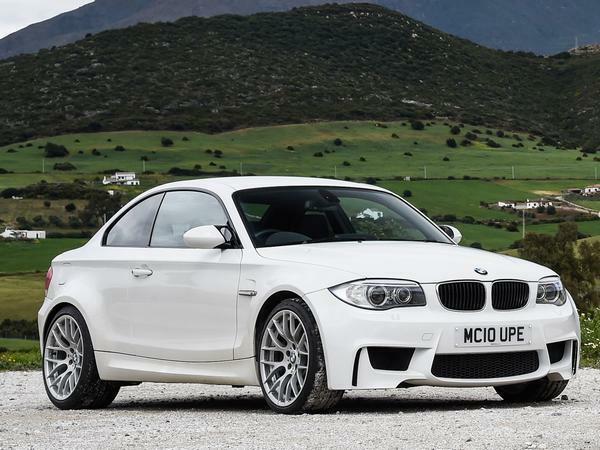 This Lovely Three Keeper Example Was First Supplied By Douglas Park BMW In The January Of 2012, Which Is The World Of The BMW 1m Enthusiasts Is Still Viewed As Being Nice And Low In Numbers. Over The Last Six Years Chassis Number VS71956 Has Only Had 41514 Miles Applied, To Which If We Break This Down Further Is Approximately Just 6900 Miles Per Annum, However Regardless Of This Impressive Current Mileage Reading Our Example Has Been Maintained To The Highest Of Standards With Past Historical BMW Service Visits Logged At 1166, 18305, 32399, 39833, 40001 & 41175 Miles, With The Very Last Completed By Cooper BMW In The December Of 2017. Once Sold To The Next Lucky Custodian The Vehicle Will Be Presented With The Entire Booklet Pack Set, A Fully Cleared Hpi Certificate, A Fully Functional Key Set And The All Important Factory Build Card, Which Is All In Place For That Next Keeper To Enjoy And Cherish During Their Own Time Of Ownership. This Has To Be One Of The Best Looking Cars To Come From The M Factory, With Our Car Being Finished In The Black Sapphire Metallic, Which Perfectly Showcases The Aggressive Body Curves And Emphasis The Widen Arch Lines, With These Exterior Features Instantly Recognisable. Further Detailing Is Presented With The Unmarked Silver Finish 19" M Light Y Design Alloy Wheels Which All Sit On Branded Tyres, The Chromed Quad Exhaust System, The Chromed Side M Embellishments Housing The Side Indicators, Colour Coded Roof Mounted Shark Fin, The Sculptured Bumper Vents, The Blackened Front Kidney Grilles Detailed With Chrome, The Colour Coded Rear Boot Lip Spoiler, The Blackened Hexagon Front Grill And Presented With The Unmistakable M Badges, Giving Us Those Final, But All Important Finishing Touches. From Every Given Angle, The BMW 1M Looks Staggeringly Beautiful And With This, Would Be Well Suited To That New Or Already Established Vehicle Collection. There Can Be No Mistakes To The Interiors Presentation And The Power Available In This Snug, But Comfortable Internal Space And Would Make Any Journey Into An Epic Adventure. This Car Was Opted From Factory With The M Embossed Boston Black Leather Sport Seating Delicately Detailed With Kyalami Orange Twin Needle Stitch Work, The Dramatic Black Dash Featuring Suede Inlays Again Detailed With Kyalami Orange Detail That Wraps Around This Dramatic Cabin, The Black Fabric Roof Lining, Black Carpets That Have Been Protected With BMW Over Mats, Black Leather Trimmed Door Cards Again Detailed With Suede Inlays Detailed With Kyalami Orange Stitch, M Embossed Internal Sill Plates, The Three Spoke Leather Trimmed M Multi Functional Steering Wheel With The M Button, All Of Which Makes This A Truly Special And Exciting Place To Be Sat. The Interior Is Also Packed With An Excellent Mixture Of World Class BMW Technology, Meaning That Every Trip Is Not Only Enjoyable, But Also Fully Controlled, Time And Time Again. This Lovely Example Not Only Boasts A Perfect Past BMW Service History, But Also Offers Great Options To Include The Dual Zone Climate Control, Unmarked Silver Finished 19" M Light Y Design Alloy Wheels, Sun Protection Privacy Glass, Drivers Front Arm Rest, Variable Heated Front Seating, Push Button Start, Cruise Control, Electric Folding Mirrors, Harman Kardon Sound Package, Xenon Headlights With Power Wash Function, BMW Rain & Light Packs, Rear Park Distance Control, Daytime Running Lights, Blue Tooth Phone Preparation, BMW Professional Radio System With CD Function, Chromed Tipped Quad Exhaust System, Split Folding Rear Seats, Remote Central Locking With Alarm, Leather Bound Multi Functional Steering Wheel, M Embossed Internal Door Sill Plates, BMW Trip Computer, Colour Coded Shark Fin And So Much More. Presented For Sale With The Entire Booklet Pack Set, A Fully Cleared Hpi Report And A Full Key Set. Parkway Specialist Cars Is A Small Family Run Company Based In The Picturesque Countryside Of North Nottinghamshire, Which I Hope You Will Agree Offers A Beautiful Backdrop To Our Fine Selection Of Hand Picked Luxury, Performance And Modern Day Classic Motor Cars. We Have Been Established Since 2013 At Our Current Showrooms, However Both Mark And Jonathan Have Had A Lifetime Of Experience Sourcing Remarkable And Diverse Vehicles For Our Discerning Clientele. As A Company We Have A Very Simple Approach, In Offering The Very Best Examples, Which We Believe Offer The Perfect Pedigree And Provenance, With Regards To Ownership, Past Service History, Rarity And Of Course High Factory Specification. We Have Immense Pride In How We Describe, Photo And Display All Of Our Owned Portfolio And We Firmly Believe That This First Visit To Us On Our Web Page, Will Of Course Encourage Your Valued Enquiry, Visit And Future Business. For Further Details On This Remarkable Find, Then Please Contact Either Jonathan Or Mark On 01623 622627 Or Via Email. Attractive Funding Options & Worldwide Shipping Details Are Also Available Upon Request..